I have some favorite sewing things I'd like to talk about and then ---GIVE THEM AWAY! It's been an amazing year, both personally and for my sewing business so it's time to give back. I hope that doesn't sound like a brag- ewe gross! I still am not "making a living" from sewing--but progress is progress however small or big it may be. On the personal front I am focusing on having more intention in every day and every moment. It's not anything I can really explain, unless you want to chat over coffee sometime --yay? All I know is through this year's experiences I am realizing more and more that each moment does matter, each person matters, truly listening matters, and every thought M A T T E R S.
I won't get all philosophical here in this post, or maybe ever on this blog (I don't want to lose you LOL!) The last thing we all need is a lecture-- am I right?! 1. Starting from the top left corner--- CASSINGLE! Yes I'm shouting -how can you not looking at that amazing make Lysa put together? I made my version last week and now it's hanging up in my sewing studio as my back drop. This pattern can easily be assembled in a couple days. I used butcher paper to measure out my pattern pieces for the background and THEN cut them out. The cassette tape was super easy to assemble. I totally love how she gives you little tags to cut out for each pattern piece to keep things organized. 2. Be a PINEAPPLE Sweet Vibes Wall Hanging by Mandy Murray of Sew Quirky. Mandy is one of my most favorite designers- everything she makes is fresh and fun, with that elusive quality of grabbing attention without being pretentious. I LOVE everything in her shop. I'm giving away this paper pattern- which will be mailed to your home address. Rules are the same- make it, share it, tag it, and most of all- have fun! This is Mia's Cumberland that I added a dragon design to for flair. Dragon paper piecing pattern available here by Quiet Play. 3. 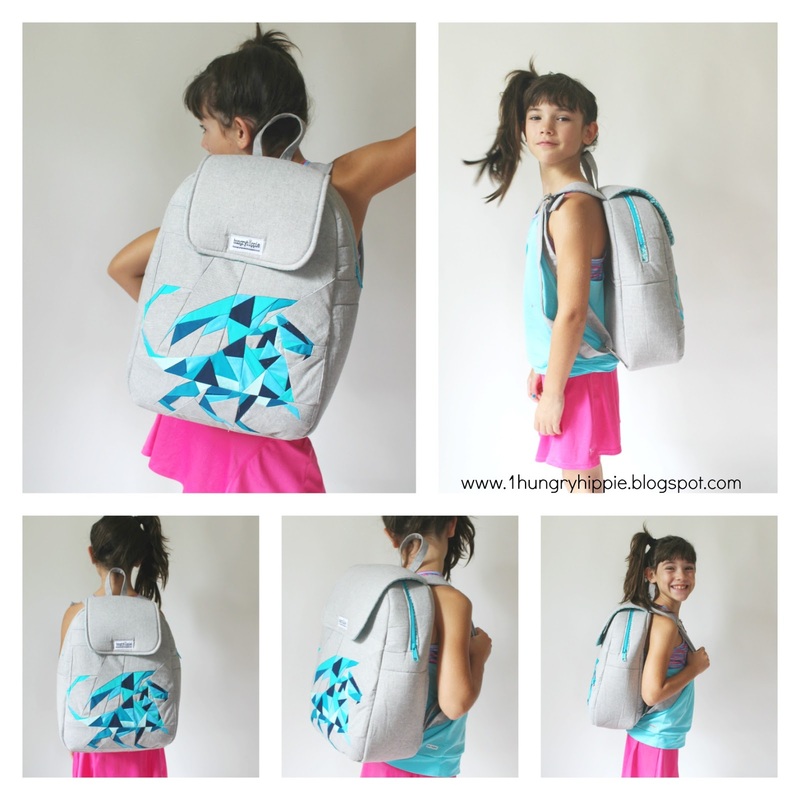 Cumberland Backpack paper pattern by Sara Lawson of Sew Sweetness. This is by far my fave backpack pattern out there. I'm giving away one printed booklet pattern. As I tell everyone, her patterns are top notch and super clear, even if you're sort of new at sewing you can follow Sara's instructions. 4. 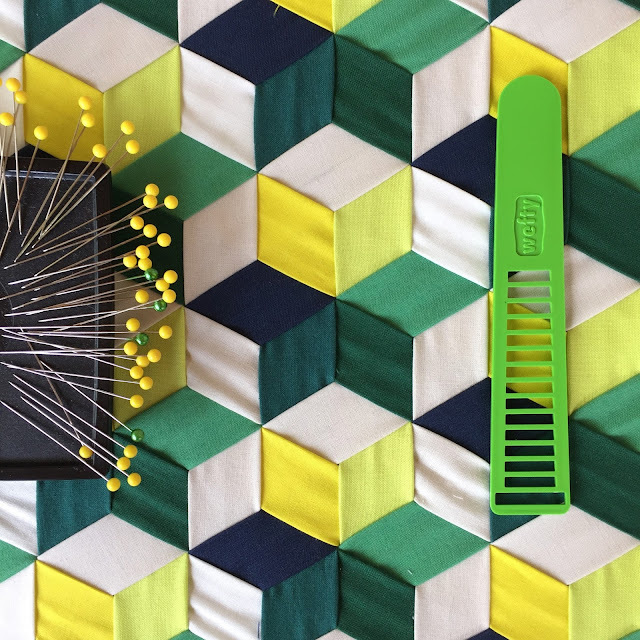 Color Hex quilt pattern by Jeni Baker. 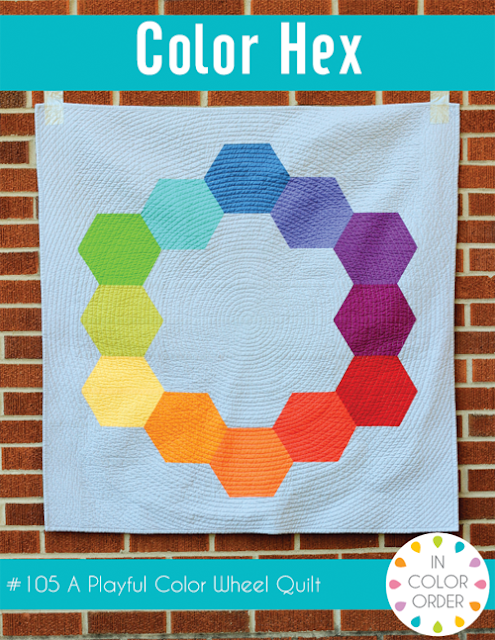 This is a pattern to make a 45" quilt with hexagons. No funky Y seams here, Jeni is clever with her piecing. Jeni's patterns are simple and clear- usually fast makes that provide immediate gratification. Perfect for busy people! This is one printed pattern booklet for the give away. 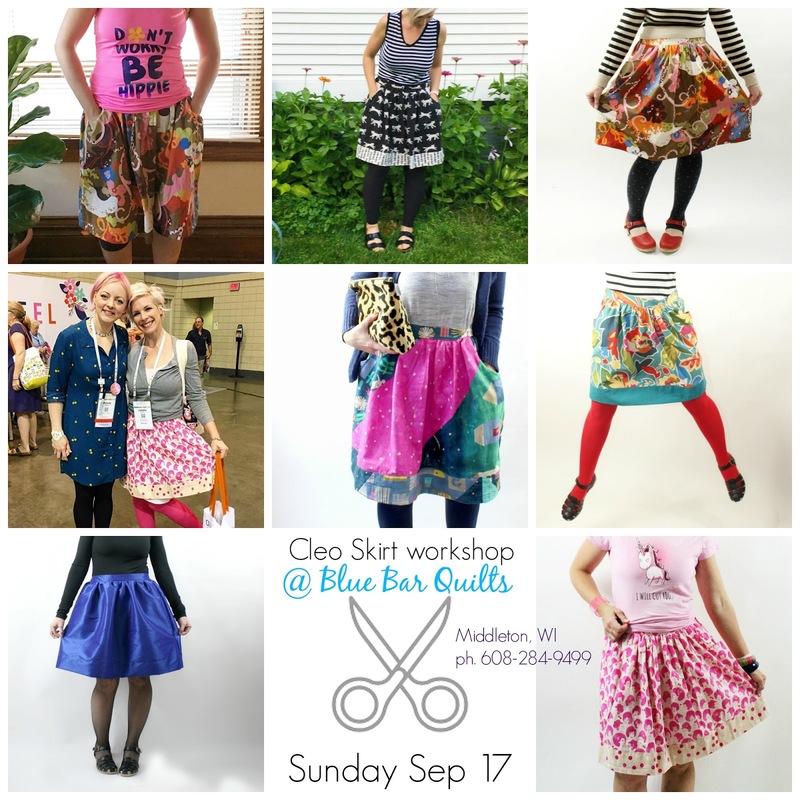 Some of the Cleo skirts I've made. 5. Cleo Skirt via Made by Rae. If you've read my blog EVER before, you know how crazy I am on Rae's patterns. They WORK. They are easy to understand, even for a beginner sewing person. Did I mention I learned how to sew garments with Washi and her blog? Yeah, she's the shizzle. I'm giving away a printed pattern- beautifully printed including heavy gauge paper pattern pieces. This book is super pretty and motivating ! Each book in this rainbow series features 6 patchwork projects celebrating a single color. 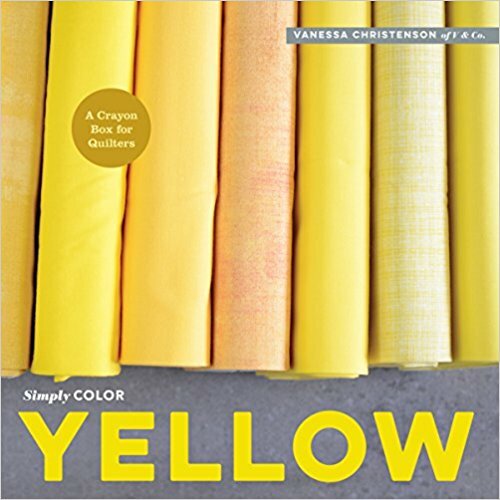 In this case, it’s yellow – in all its sunshiny variations ­­– showcased in 4 quilts and 2 smaller, quick-to-make projects, clearly explained with the help of 50 illustrations. This book is endearing- there are 99 letters from The Farmer's Wife Magazine with a quilt block inspired by each one. Lots of different blocks in here that I've never seen before. Each one measures 6" x 6". 8. The Nosy Pepper's key chains are an addiction of mine, I have to say. I love them! Each one is made by Cyndi with her embroidery wizardry -- and come in whatever colors you desire. She also is a MASTER bag maker. I'll be giving away one or two key chains, depending on my mood. LOL! You can buy your own here. 9. 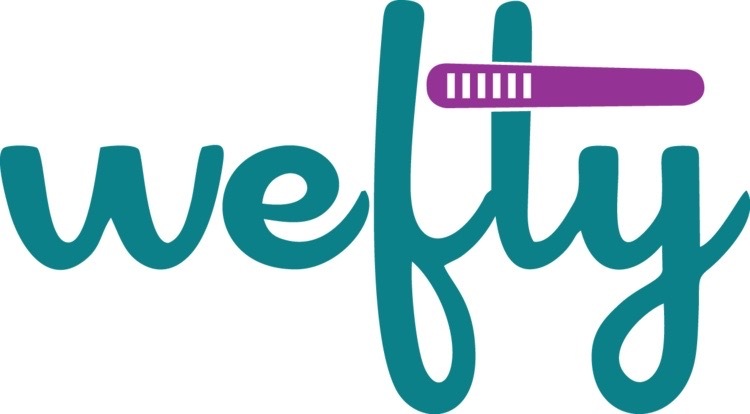 Wefty Needle! This little gadget was created by Inventor and Artist/Designer Tara J Curtis. I wish everyone had the luxury of meeting Tara in person because you'd want to be besties pretty much immediately. Yup. She's pretty dang cool aaaaaaand smart. Don't know what this needle is about? Watch her YouTube videos and find out more. People get hooked on weaving after using it- it's so clever to make things easier. Tara teaches classes too, so email her if you are a guild member and need a fresh presentation. You can buy a Wefty here if you fancy. To enter this giveaway leave a comment here on the blog and follow me on IG. I have more to give away soon- (which is why you'll want to follow me on IG)... I only share and giveaway what I use and believe in. Most of these items listed were personal purchases by Moi. So many great things! I've been curious about the Wefty. I inherited my husband's grandmother's old elastic threaded/pull thingys in 5 or 6 different sizes and they pretty much look the same, so I haven't been able to quite take the plunge. 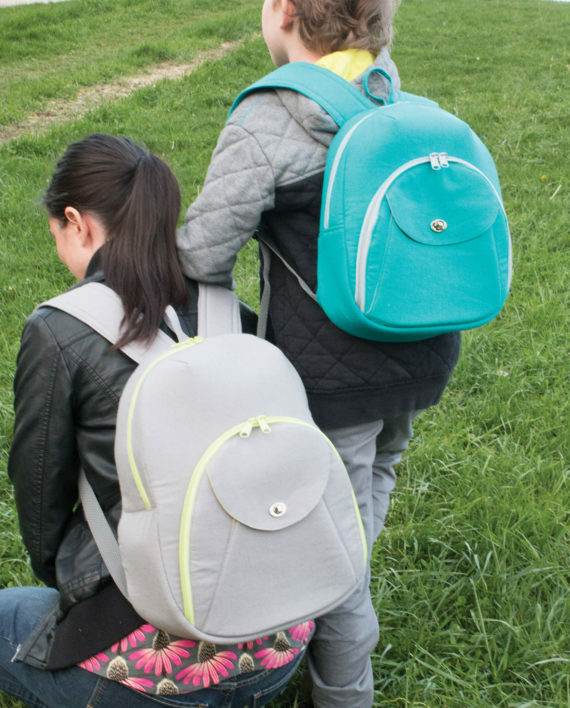 That Cumberland backpack has been on my wishlist, too! Thanks for sharing your faves and giving them away! Wow that is an amazing giveaway! I have been thinking about the Wefty needle for a while not sure I have the patience to prep it all! Thanks for the giveaway! This is all really awesome! Such variety! So cool! I have wanted to try the wefty needle for a while. I also love patterns from Sew Sweetness. Love the list! The Cassingle and Wefty needle are both on my wishlist! Natalie: You inspire the shizzle outta me! Not just your creativity and sequined boots, but your smarts and individuality and heart! What a fabulous prize package! I'd lo e to win and enjoy your favorites. What a fabulous bunch of prizes! I want to make them all. After reading your interview with @lysaflower I'm inspired to try garment sewing with some patterns from @madebyrae. Holy smokes! Thank you for the generous giveaway. Happy holidays. What a great variety, some quilting, bag making and clothing. This would keep me busy all year! Natalie, this is a terrific array of some monstrously talented makers. I'm familiar with some but there are several new one I'm glad to discover! 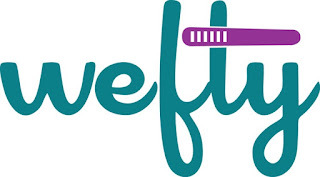 Thanks especially to Tara of weftyneedle for sharing this! Just followed you over on IG as kitkabbit. What a generous giveaway. Sometimes it feels really great to pay it forward. You’re a peach! How awesome! Love seeing all the different projects to get inspiration and ideas of what to venture in making next! Really love the backpack you made for Mia- Wow just gorgeous! 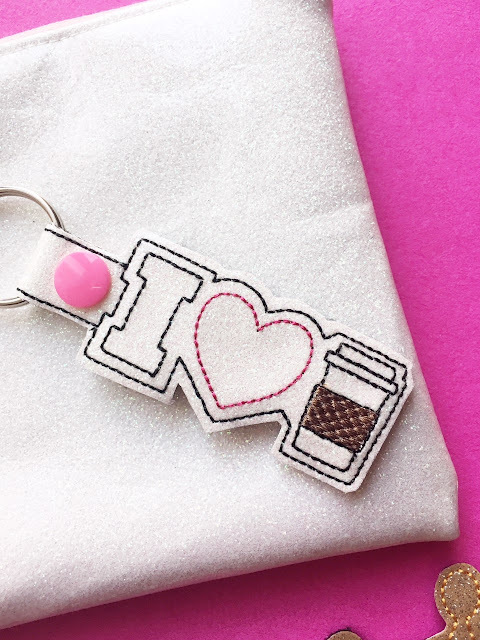 How sweet of you to want to share your love of sewing with others! The Wefty Needle and the Cumberland Backpack look great. 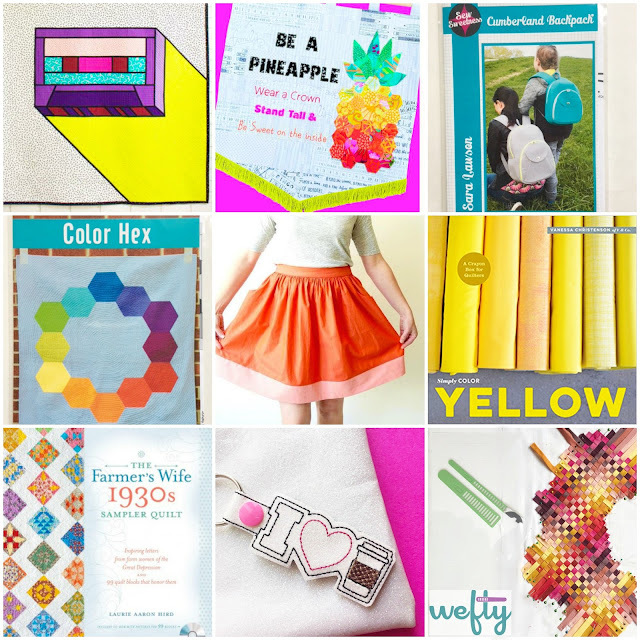 I look forward to your blog posts on my Bloglovin feed for crafty inspiration. Great recommendations! I already followed most of the designers on IG, but I've added them all now. Thank you for the giveaway!